This is to inform all the candidates successfully offered provisional admission into the Obafemi Awolowo University (OAU), Ile-Ife that the management of the university has released the amount to be paid as acceptance fee and the procedures of payment. 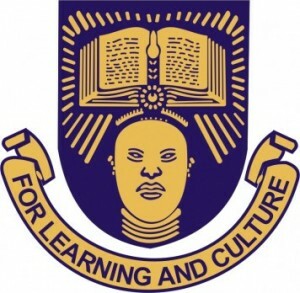 Read Also: OAU School Fees Schedule and OAU Admission List. Candidates who made Obafemi Awolowo University, Ile-Ife their first choice and took the Obafemi Awolowo University Post UTME are advised to check their names from the list of candidates admitted by the Joint Admissions and Matriculation Board (JAMB) on the Obafemi Awolowo University Website (www.oauife.edu.ng) or eportal.oauife.edu.ng and follow the procedures for registration as laid out. Confirmation of admission on the OAU website shall commence with the payment of non- refundable acceptance fee of N20,000.00 (fresh students only. Candidates should then proceed to select payment activity and then choose the Type of Payment (Acceptance, Main Charges, Accommodation….) and indicate Mode of Payment (Bank Branch / Transfer / Master Card i.e. ATM) in order to link the payment to REMITA. If Bank Branch is selected, download RRR (Remita Retrieval Reference) and use it to pay by cash in any BANK OF YOUR CHOICE that accepts cash payment to REMITA. If either TRANSFER or MASTER CARD is chosen, supply the additional information to effect the payment. Please, note that you can access the University e-portal anywhere to effect your payment in any branch of the Banks nearest to you effective 22nd February, 2018. FRESH students have until March 12 2018 to accept the admission offer.